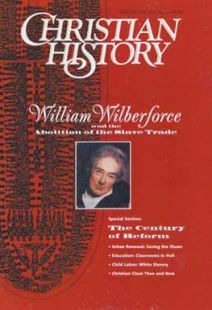 Little-known or remarkable facts about William Wilberforce and the Century of Reform. if they didn’t solve every social problem, at least Wilberforce and fellow-reformers made life bearable for millions. An introduction to the turbulent 19th century. The Clapham Sect was one of the most elite and effective bands of Christian social reformers—ever. The Clapham Sect’s impact in India—and the world. The Christian History Timeline by Sarah Williams. Christian ministry in the “pestilent heathen byways” of the inner city. Whether on her feet or from her sickbed, Florence Nightingale worked to save lives.